Oils and greases play a crucial role in ensuring the consistent protection and performance of mining equipment, helping safeguard against financial losses and safety risks. However, constant exposure to the elements, extreme temperatures and heavy loads present a unique set of lubricant challenges. Sarp Degirmenci, EAME Offer Advisor at ExxonMobil, to gain some insights on how best to choose and use lubricants. What are the differences between synthetic and mineral lubricants? Taken together, these benefits can help extend equipment life. It is therefore worthwhile considering a switch to synthetic lubricants, depending on application. Can lubricant selection help improve equipment performance? Specialist lubricants are engineered to help optimise the operation and productivity of mining equipment. For example, high performance hydraulic oils can improve the cycle efficiency of shovels, excavators and haulage equipment while helping cut energy consumption and maintenance issues. Tests have shown that a switch to Mobil DTE™ 10 Excel can provide up to 6% efficiency gain in hydraulic pump performance1. Lubricants can also help ensure the efficient running of compressors, open gears and mobile mining equipment, even in harsh environments. Doing so can contribute significant savings to a mine site operation. Is it possible to monitor the lubricants in my equipment? Regular used oil analysis, such as ExxonMobil’s Mobil new Mobil ServSM Lubricant Analysis (MSLA), can help reduce unscheduled equipment downtime. The information it provides can help users detect issues, such as contamination, deposit build-up and wear, before they become a problem, improving equipment reliability. 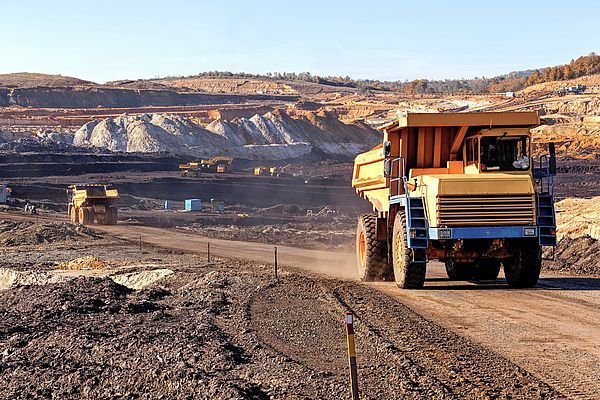 Routinely implemented, this enables mine operators to track lubrication trends and spot anomalies, such as changes in viscosity. These insights can help users take corrective actions, which can then be monitored by scheduled sampling backed up by ExxonMobil’s technical expertise. And of course, if in doubt, it is always advisable to talk to your oil supplier’s field engineers in order to ensure you use the best performance lubricants. 1 The energy efficiency of Mobil DTE 10 Excel relates solely to the fluid performance when compared to conventional Mobil-branded hydraulic fluids. The technology used allows up to 6% increase in hydraulic pump efficiency compared to Mobil DTE 20 series when tested in standard hydraulic applications under controlled conditions. The energy efficiency claim for this product is based on test results on the use of the fluid conducted in accordance with all applicable industry standards and protocols.